"I am the demon of duelling logos." It seems that there will still be three distinct SKUs for this 'all-in-one' version, identifiable with Wii U, Wii and PC branding. Each will still, nevertheless, contain copies for all three platforms. Dragon Quest X for Wii, Wii U and PC will be released on 7th August, while the 3DS version will be released on 5th September. So far, both versions of the game have been confirmed for Japan only, while the 3DS version will need an additional monthly subscription from its big-screen contemporaries. Picturing the hot, salty tears of the poor individual who has to reconcile three different sets of packaging art requirements while incorporating Nintendo and Windows PC platforms? Less entertained by this thought than Dragon Quest X finally making it to the West, some day? Comment away! Hi Japanese Dragon Quest fans, in case you didn't own this title not once, not twice, not thrice and not four times already, now you can by all 4 versions at once! Because... why not?! Rest of the world... no Dragon Quest for you! This... is insane. I want a Dragon Quest for Wii U that doesn't have a stupid monthly fee!!! This article is completely wrong! There are not the 3 SKU in one package! There are 3 packages (Wii, WiiU and PC) which each contains all extensions. That's why tey're "all-in-one packages". me wants DQX, too...I've seen a trailer for the game before I got my Wii U ~2 years ago iirc and I wanted it ever since. I really hope we will see the game in the west and I also hope it won't be just the 3DS version. 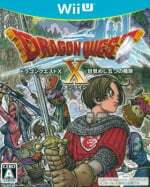 I want DQ X for Wii U here already. I'd at least play it for the first month of the subscription, if it came over as such. Great another game that i want to release in the west, and will never happen damn. Cross-buy on a different level. NA release or GTFO! Its not like there isn't a big enough fan base... translate it already!!! @Byuu My world makes sense again. I'm just, I'm just not a fan of the Dragon Ball Z art style. It's never looked good to me and it still doesn't. It's slightly less DBZ looking than the past Dragon Quest games but it's still very DBZ looking. The only character that doesn't look like it jumped out of DBZ is that female red demon looking character. Seriously though, DQX not being released is explained pretty fast. Monthly fees on console games don't work well, for whatever reason. And Squenix probably can't afford to bring this to the west without monthly fees (they have enough money for that, but why should they have to make losses?). God that looks so good!!! @Blast And exactly what you've just said is why this game won't see the light of day in the west. @Kodeen Not true, plenty of people would pay the monthly fee, once they see what DQX offers, plenty of mmos out there that still does P2P and alot of people still play them. MMOs need revenue of some sort to keep getting more and more high quality created content placed into them. Their is no such thing as a free mmo, free to play especially. hmm i think i would try it out, an mmo for WiiU would be juicy dude. "Each will still, nevertheless, contain copies for all three platforms." This is still wrong. Each version of the software reads "All-In-One Package". They aren't selling all three versions in one package. This "All-In-One Package" is the equivalent of a GOTY edition of an PS/Xbox game. The game simply contains the base Dragon Quest X game as well as its two expansion packs. Plus, it makes absolutely no sense whatsoever to package the Wii version with the Wii U version. Who would play the Wii version? If anything, to sell three versions for the price of a single game would be a colossally stupid move as buyers could simply give away the other two versions to friends or trade them in (thus depriving Square Enix of potential sales). I've been reading a lot of criticism about some of the "click bait" articles here on Nintendo Life and it only appears to be getting worse. Doesn't anybody care to verify their facts anymore? =/ I strongly suggest changing the title of the article to better reflect the facts. The last time Square Enix succeeded in making an MMO to stand the test of time (and built for the PS2, no less) was Final Fantasy XI. I played that game for a few years, and loved it. That game was mostly developed by Square, though, before the Enix merger. Square Enix has really lost their star power over the years. They make some good games, but they don't churn out classics frequently, as they used to do when they were still separated. 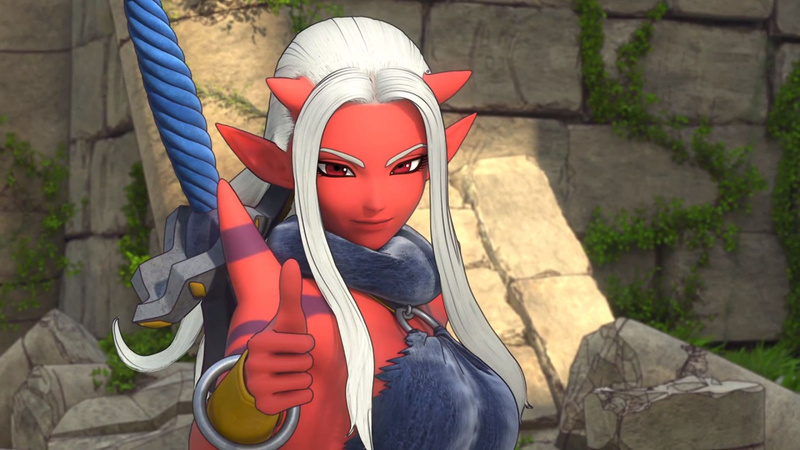 Dragon Quest X was one of the games I've been anticipating for Wii U, but it's looking unlikely to be released outside Japan now; perhaps because of localization and worldwide synchronization issues. I suspect the reasoning is somewhere near that of Sega's reasoning for refusing to release Phantasy Star Online 2 outside Japan... They just don't want to deal with the grief and hassle of catering to Westerners anymore. They're fed up with dealing with us. There are a lot of issues in the background on this subject the public never gets to see. Their reasoning may have justification, but it's sad, nonetheless. As @sillygostly said, the All-in-One package is one of the versions (Wii, Wii U, or PC) with both expansion packs. It's not every version included in one package. This may be an information error caused by lack of translation on NintendoLife's part. The article's linked advertisement doesn't clearly state the details of the All in One package for non-Japanese. @DarkKirby It looks like DBZ because Akira Toriyama did the art for both. That's his signature style. Look at Chrono Trigger and Blue Dragon too. It's just how he draws his characters. I'm still waiting for the 3DS DragonQuest games. At this point though, I'm ready to give up on them ever getting released. Like above posters say, they are not wii, wii-u and 3ds in one package. The video is divided in 2 parts. The first one shows images from the first (the original) dragon quest x, and the second part of the video shows the "version 2" (expansion) dragon quest x. After that, they show the 3 boxes (wii, wii-u and pc) and they say both, the original and the expansion, are in the same package. Square Enix will put Dragon Quest X with its expansion, The Slumbering Hero and Sworn Guiding Ally, together in a pack that will be called Dragon Quest X: All In One Package. Designed for new players who want to enter the world of Dragon Quest X, this All In One Package includes 10 balls Health 10 Lottery Tickets, redeemable for 20 days of play in a new account code. After those 20 days, the subscription price is 1,000 yen per month. Dragon Quest X: All In One Package will be launched on August 7, Wii, Wii U and PC at the price of 4,800. Dragon Quest games have embraced Toriyama's art for YEARS. Over most of the Square Enix games (pre Square buy-out) as well as many non-FF (pre Enix purchase) Squaresoft titles. Has anyone else heard rumors of the supposed Mario sketches Toriyama did for Mario RPG? I guess SS started it, suggesting the Japanese art was originally slated to feature interpretations on many of the characters featured. I honestly would have spent thousands of hours in this game. This is so sad. Stop posting these articles already!! !